See the 1619 Berkeley Plantation Tapestry Website here! This priceless History without Tears educational work of art was gifted to the Bristol Empire and Commonwealth Museum. That museum's collections have been transferred to Bristol Museum, Galleries and Archives, and the future use of the collection is currently under discussion. Meanwhile, we invite you to browse this beautiful piece of work online and leave a comment on the Guest Book above. The New World Tapestry is the largest stitched embroidery in the world, larger than the Bayeux Tapestry. In its entirety, it measures 267 ft x 4 ft (81.3 m x 1.2 m) and consists of twenty four panels, each panel measuring 11 ft x 4 ft (3.4m x 1.2m). It depicts English colonisation attempts in Newfoundland, North America, Guiana and Bermuda between the years 1583 and 1642, when the English Civil War began. Work began on the tapestry in 1980 and continued for twenty years. 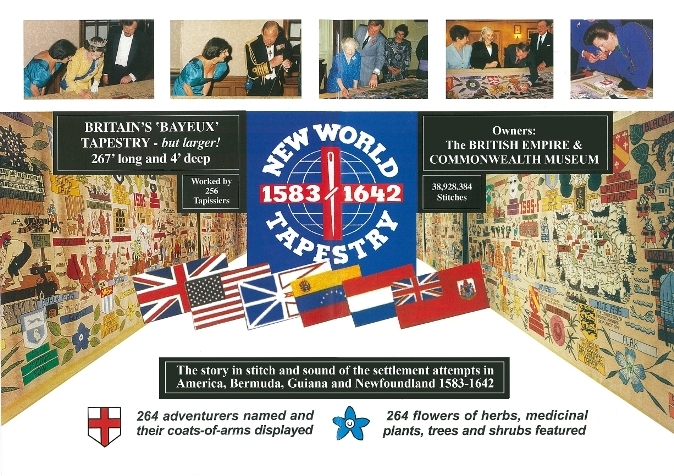 It took 256 tapissiers to create the tapestry, and contributions were made by HM the Queen, HM the Queen Mother, HRH Prince Philip, HRH Prince Charles, HRH the Princess Royal and HRH the Duchess of Gloucester. Please note, the remedy information given for the flora shown on the Tapestry is quoted from old herbals and is NOT RECOMMENDED IN ANY WAY for use today. Thanks for dropping by and taking a look. 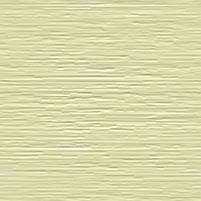 You are welcome get in touch with any comments, you can email us by clicking on the 'contact us' link below. Alternatively you may sign our Guestbook at the top of this page.